This post is in Authors In Our Midst, Writing Group and has 46 Comments. by TaMara (HFG)at12:30 pm on February 10, 2019 . It has 116 Comments. 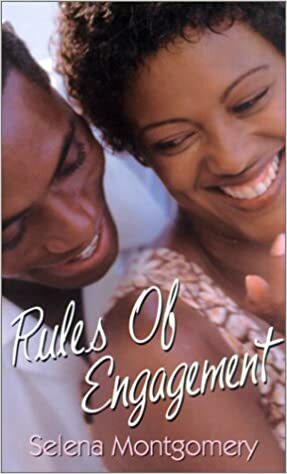 Did you guys know Stacey Abrams was a romance author?! Could I love her anymore?! Okay, onto our regularly scheduled Writers Chatting. I received a request from a new author to highlight his book and I’m happy to do it. If you’d like me to post your latest book, let me know. I will ask you to write something about your journey and pop in to say hi. This post is in Authors In Our Midst, Writing Group and has 116 Comments. by TaMara (HFG)at2:57 pm on October 14, 2018 . It has 80 Comments. How is October skittering by so quickly? My best efforts to try and do at least twice-monthly writing group posts has slipped away. I will be traveling the next 10+ days, so this will have to be it for this month. This post is in Authors In Our Midst, Writing Group and has 80 Comments. by TaMara (HFG)at3:00 pm on September 30, 2018 . It has 74 Comments. In our continuing series featuring Balloon-Juice author’s latest books. Dorothy Winsor has a new book out this week. I’ll let her take it from here. Stuck in a city far from home, street kid Doniver fakes telling fortunes so he can earn a few coins to feed himself and his friends. Then the divine Powers smile on him when he accidentally delivers a true prediction for the prince. Concerned about rumors of treason, the prince demands that Doniver use his “magic” to prevent harm from coming to the king, and so Doniver is taken–dragged?–into the castle to be the royal fortune teller. Now Doniver must decide where the boundaries of honor lie, as he struggles to work convincing magic, fend off whoever is trying to shut him up, and stop an assassin, assuming he can even figure out who the would-be assassin is. All he wants is to survive long enough to go home to the Uplands, but it’s starting to look as if that might be too much to ask. Here’s the tl:dr version: Street kid Doniver accidentally tells a true fortune for the prince and is taken into the castle to be the royal fortune teller. Good new? Food and a warm bed. Bad news? He can’t tell fortunes. I’ve said on BJ before that I got the idea for this book from the old TV show “Psych.” If you recall, that’s about a fake psychic who gets involved in solving crimes. Because I write fantasy, it occurred to me I could twist that into a fake magician responsible for stopping an assassination plot. TaMara suggested I include something about my experience writing this book, so I went back and looked at my files and was shocked to see a complete draft from 2008. Yes, that’s right. Ten years ago. I am so slow. Not to generate words, mind you. I can do that. It’s generating insights into my characters, their situations, and whatever I want to say about the human heart that takes me forever. I am super slow about that. Now the parts of the book I like best are the ones I wrote late in the process. That early draft was competent but flat. I hope this one is at least less so! I’m happy to talk about the book, publishing, and anything else, even Trump. This is BJ after all. Oh, hell no on Trump. This is a politics-free thread, unless it is what you are writing about. I thought we’d try a later time since I had a few requests for that. Let me know if it works for you guys. So let’s chat. What are you writing these days? How’s your process? Any questions for Dorothy? Hit the comments. This post is in Authors In Our Midst, Writing Group and has 74 Comments. by TaMara (HFG)at1:00 pm on September 9, 2018 . It has 62 Comments. I follow a lot of our fellow BJ authors on FB, Twitter, and I know there a few publishing dates coming up. I want to remind you, send me an email with a photo of your book cover, where it’s available and the book description for posting consideration. I’m more than happy promote your work. Also if you’d like to start the writing group again, I’m willing to do it, just need some help in how you’d like it to look. It needs to be something relatively easy for me to post weekly, monthly or whatever configuration you’d prefer. My original idea of soliciting guests to discuss writing and publishing may not work in my current crazy schedule, but I could definitely put up a general post. Early this summer after several edits and about a dozen rewrites, I published the first book in the TJ Wilde trilogy. Starting with waking up from a dream knowing the character and basic story, to having friends who read and re-read the first chapters and convinced me to continue, it took me a while to decide to take the final steps. I finally hired an editor, a proof-reader and looked at what was involved in publishing. This post is in Authors In Our Midst, Open Thread and has 62 Comments.